The truly independent voice on cameras. Written by British filmmaker, Andrew Reid. Google registered 75% less interest in the 5D Mark IV launch compared to the previous camera. The graphs you see below are generated by Google Trends (formerly Google Insights) which measures search traffic in terms of keywords. Since most of these search terms for cameras end up at online shops and market places, it’s a genuine insight into the success of individual models. Sadly for Canon it seems this DSLR is past its prime. The only time search interest in the camera range has been lower was before November 2008 and the release of the 5D Mark II. 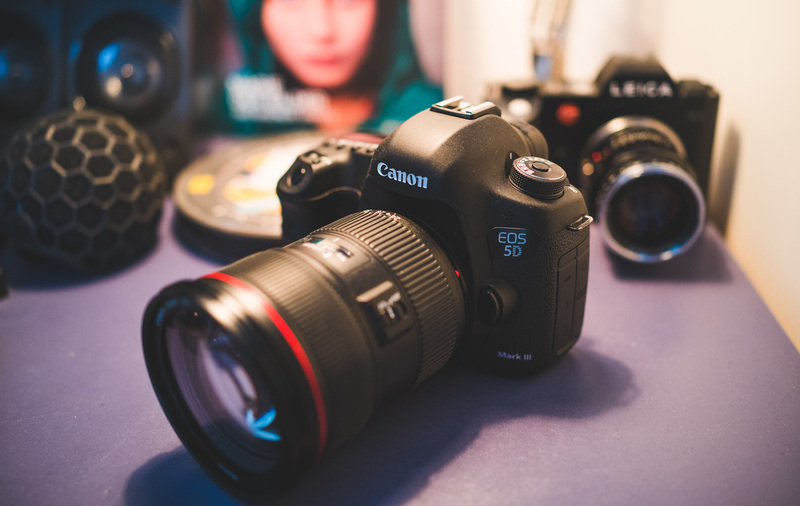 I think they should keep the 5D name alive with the mirrorless camera, for example Canon EOS M 5D. 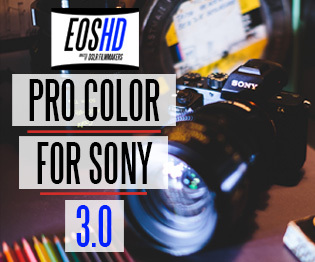 I do wish them all the best with the new camera but as I have been saying for years on this blog, they have failed to innovate enough to maintain interest in the current models. But something which will cheer Canon’s hearts is the fact that maybe, just maybe, smartphones have peaked. It’s clear from the Google charts mirrorless cameras are on the rise. That correlates with the real world as well with reports of Sony’s growing market share and the fact Canon and Nikon want in on the game seriously now. What is surprising is if you overlay this interest in “mirrorless camera” with “smartphone camera”. It shows that for the first time in 2017 the general mirrorless search term overtook the smartphone one for cameras… and from the end of 2017 to the present day in 2018 increased the lead further. Comparing the long-term relative performance of the Sony models (A7R, A7 and A7S), there’s more interest than I expected in the video orientated A7S. 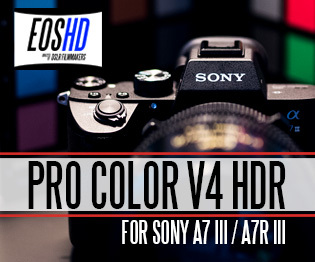 It’s only with the release of the most recent model that the A7R line jumped the A7S and A7S II. With the green line we have “Canon 5D” as a catch-all for the various Canon models (Mk II, III and IV) and again observe an overall decline in DSLR interest along with the rising interest in Sony mirrorless cameras. As with all trends, they must be reversed to avoid getting even more noticeable in the future. Interest in DSLR video at Google has declined 40% since the peak in 2013 and search requests for Cinema EOS barely get above 10% of the volume of requests received for the former. Look particularly at the green and red lines below, which illustrate how much Sony has closed the gap in awareness… On the left we have 2013 just after the launch of the 5D Mark III when DSLR sales were much better than today. On the right we have 2018 after the launch of the 5D Mark IV and A7 III. This is the camera which has really taken the fight to Canon in the eyes of the public. Although this one is an interesting chart, it might be a misleading one. Facebook is ubiquitous, rather than a trend. People are accessing it less and less through a desktop web browser and more and more through the smartphone app, so web search traffic will inevitably fall. Instagram is even more this way, always a mobile solution. Although the Google data shows search requests from mobile browsers as well, you’re still more likely to search for Instagram on the Play Store. However, remember that Google search is the biggest driver of traffic on the internet. The search keyword includes ALL topics around Facebook, news and Facebook-related trends. You do not get away with such a big drop in Google traffic without some disinterest. I think the trend shown here hints at something more fundamental. Facebook is just being used less and less. That means how the wider general public are viewing and sharing photos is changing. The force which destroyed the camera market for mainstream consumers are smartphones. Let’s also see how that’s doing. Certainly fewer people are searching for “Android” related devices and news. Why? I think this is more a reflection of handset names being the dominant queries like “Samsung S8 sim-free” but if we look at the mighty iPhone as a more reliable indicator, it’s clear the market may have indeed peaked and there’s no more worldwide growth left to discover. The growth in the market now might be more reliant on selling models higher and higher up the price range (like the iPhone X). The yearly Christmas shopping spikes are less for the newer iPhone models than 5 years ago. This might be good news for the camera industry, squeezed as it is by a monster that’s peaked in proportions. This one is VERY representative of the real world. Smartphones were around way back in 2004 but before the iPhone, these devices just weren’t accepted by the mainstream. Things like PDAs, with styluses. Then the iPhone came out, and all we talked about was “iPhone”. The term “smartphone” continued to be used less and less. It was only around 2010 that the web traffic started to accelerate around a catch-all term for these products – “smartphone” – for both Apple and Android devices. But now, just like Facebook, the general “smartphone” traffic on Google peaked in 2013 – after years of gains. Interesting! Clearly interest on the search giant is either falling or shifting elsewhere. The DSLR and mirrorless search terms look flat in comparison because of such a massive interest in smartphones over the past decade and a half… But we can still see that “DSLR” peaked on the search giant in the same year the sales did – around 2010/11 and since it has held steady until 2016, where we start to see a decline – again reflecting the shift to mirrorless in terms of sales too. Nikon’s full frame mirrorless camera is the result of worse DSLR sales, it’s as simple as that. It’s just something they had to do. Enthusiasts (and this blog) were telling them this far earlier, back 5 years ago. Camera companies can gain an important lesson – to make future plans based on what your most enthusiastic customers tell you. The fickle general public represents there here and now, not the future. More action-cams anyone?! FCPX performs worse every year since release on Google vs Adobe Premiere, but in 2018 both have declined in unison. Great opportunity for Blackmagic. Search interest in “Philip Bloom” has dropped back to pre-2009 levels before DSLRs ever existed. The 2010-13 peak of “Philip Bloom” is fondly remembered by many of us, as the era of the “DSLR video revolution”. Philip and Vincent Laforet were the figureheads who spoke most to the mainstream DSLR and photography audience, but he’s now returned to being a niche source of interest for pros. What’s been lost here is that bridge between the pro video world and photographers. When both were using the same tools, they shared the same mainstream audience. 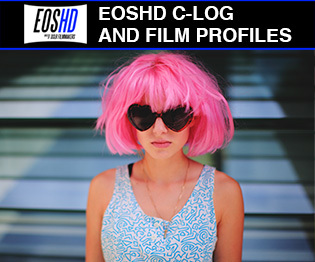 Part of the reason I did not do as sites like Cinema5D have done and start writing almost exclusively about Cinema EOS cameras and pro-gear, is that I wanted to maintain the wider audience and relevance. 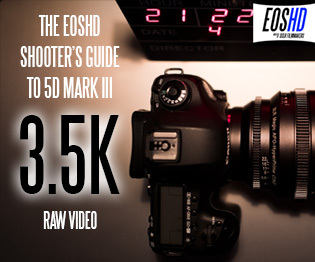 EOSHD has gone from strength to strength as the market has shifted, with 4K mirrorless cameras taking over from DSLRs. 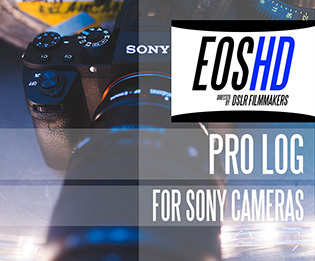 What started with the Sony A7S and Panasonic GH4 has accelerated to encompass many more models. That bridge between the pro video world and larger general public might be burnt, but it could be built again in the future with a new technological disruption. So I don’t rule out another exciting era like we had in 2010. The real impact is longer lasting than Google suggests, with many eyes having been opened to the benefit of video on DSLRs and many more artists getting the opportunity to make cinematic imagery without access to expensive pro equipment. We owe Philip and Vincent a thank-you for all those educational blog posts. The area is thriving, even if it now takes a different form. 4K is clearly the run-away trend of the past 5 years, but for a single camera vs all those search queries for 4K – the Sony A7S has done exceptionally well as a trend too (see chart below). Looking to the future, I don’t think 8K will have the same impact. Can you honestly say, given the small difference between the perceived quality of 1080p and 4K on even a very large high-end TV in the home (65 inch OLED) that further increases in resolution are genuinely an exciting and useful trend for the general public? From 2020 onwards, manufacturers must be careful to not depend on generating interest alone through marketing buzz-words. The mystery of the Sony A7 III vertical stretch – was it a hotfix for blinking pixels? NAB 2019 predictions and major talking points – BMPCC 4K Pro anyone?! Z Cam E2 cameras announced – 4K 120fps for $1999 with 16 stops dynamic range AND FULL FRAME 10bit ProRes 8K / 6K versions starting at $4995!! Did Leica just veto the Sigma MC-21 Canon EF adapter for L-mount? So much for an alliance! Canon EOS RP video specs leaked, shoots 1.6x crop 4K 8bit but NO C-LOG – $1299! Olympus E-M1X – is it worth $3000? 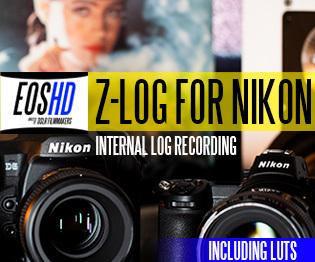 Nikon Z6 goes Sony E mount with new razor thin lens adapter, supporting electronics and full AF!